@Diablo got busy yesterday, with a variety of replies on various issues. Quotes, sorted for coherence. Not to be all cynical all the time, but when the PR representatives for games that have unlimited budgets and six (twelve?) year development cycles say that useful features are on the “wish list,” my BS detector dings right to the “saving it for the expansion” setting. Happy to be proven wrong, though. There a lot of interesting stuff in the other questions, though. The boss modifiers issue is a good one for discussion. The tweeted question is too vague, though, since it’s unclear what “toughest” means. Hardest to kill? Most likely to kill you? Most annoying and likely to be parked somewhere and left behind? We’ve got all 19 (known) monster modifiers listed on the wiki page, along with some player testimonials to whet your appetite. Vampirific is the most annoying mod yet, since they leech back full health so quickly. 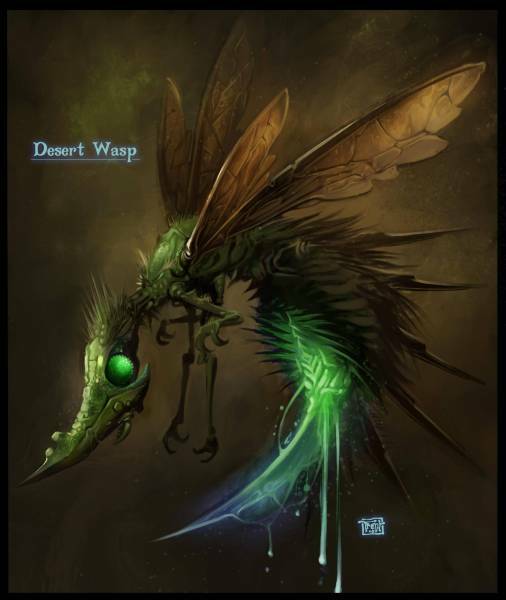 I got an Extra Fast Doppleganger Desert Wasp at Blizzcon 2009 that had me chanting “hold still and die!” under my breath. Teleporting ranged attackers are nearly as vexing, especially if they get Ballista or Multishot. Also, the change to the Barbarian’s Revenge is welcome. It sounded like an automatic skill in the description at Blizzcon 2010, but when you used it… bleh. The skill allowed you to make a very quick spinning melee attack, but you had to have 1) enough Fury, and 2) had to use it shortly after you were hit by a melee attacker. Basically you’d fight normally, but as the tweet says, with one eye on your interface, waiting for the little black-and-white Revenge icon to turn colored, which let you know you’d been hit and could now trigger it. Once. After which the icon would go back to B&W for the cooldown, and you’d go back to watching your belt during combat. He was fashioning a tinfoil hat for a Flux effigy, hoping to pass everything off as crazy conspiracies that cannot possibly be true.